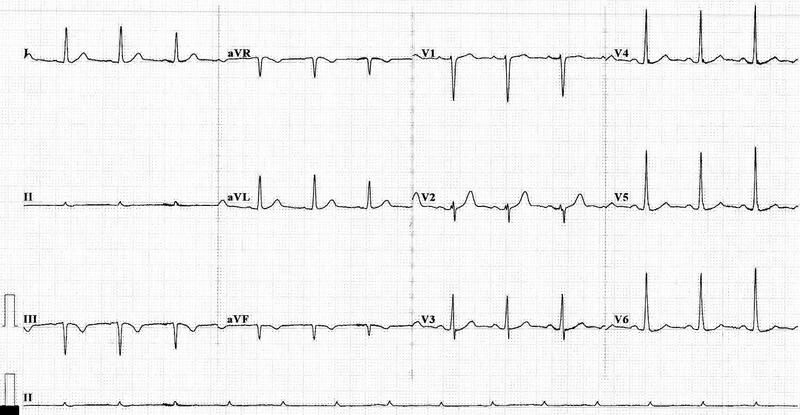 The following ECG is from a 70 year old female who was referred by her GP following an episode of chest pain. What happened ? A repeat ECG with correct lead position resulted in resolution of all limb lead abnormalities and unchanged non-dynamic precordial lead changes.Serial cardiac biomarkers were negative and the patient was discharge.